In a small bowl, dissolve yeast in warm water; set aside. In a large bowl, combine the flour, sugar, baking powder, salt and baking soda; cut in shortening until mixture resembles coarse crumbs. Add yeast mixture to buttermilk; stir into dry ingredients until combined. Turn dough onto a lightly floured surface. Knead 5-6 times. Roll or pat to 1/2-in. thickness. Cut with a 2-1/2-in. biscuit cutter. Cut a 1-in. slit at an angle halfway through center of each biscuit. 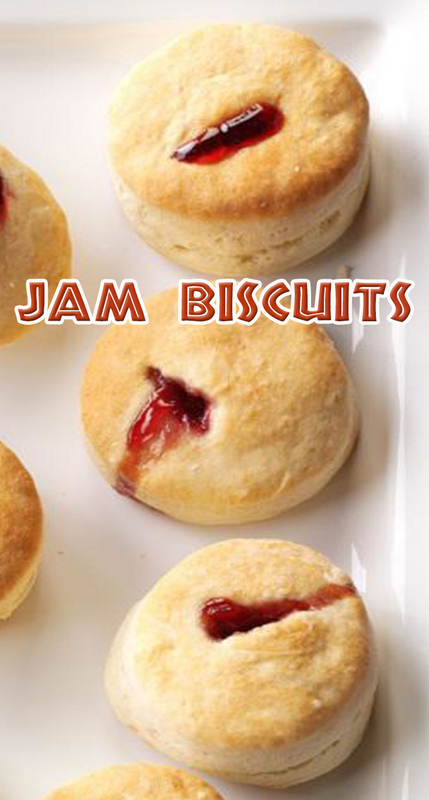 Separate dough at cut; fill with 1/4 to 1/2 teaspoon of jelly or jam. Place on ungreased baking sheets (do not let rise). Bake at 400° for 16-20 minutes or until golden brown.